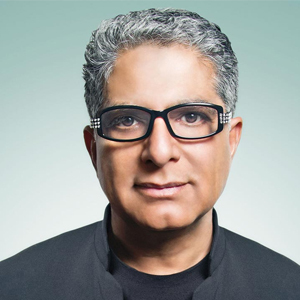 Deepak Chopra is an Indian-born American author and public speaker.He is an alternative medicine advocate and a promoter of popular forms of spirituality, who has been described by the New York Times as a “controversial New-Age guru” though Chopra says guru is “a title I’ve rejected for thirty years”.Through his books and videos, he has become one of the best-known and wealthiest figures in the holistic-health movement. This is a tiny book. Like super tiny. But, it’s also packed with a bunch of great Big Ideas. We explore the root of the word affluence, the two goddesses of wealth (and which one to chase! ), the most important question for affluence, seeing failure as feedback + stepping stones, and creating unbending intent. What do you get when you mashup Deepak Chopra’s The Seven Spiritual Laws of Success with his son Gotham’s passion for comic books and superheroes? This great little book. In this Note, we’ll have fun looking at what makes a superhero so super and how we can rock it as well. Big Ideas include learning how to rise to the occasion as we live our ideals and commit ourselves to service. Will *you* be a superhero? Deepak is one of my favorite authors and this book is all about harnessing the power of "synchrodestiny" to rock it. We'll explore the power of letting go of our fear and worry and anger and hesitation as we discover our deeper purpose and live from our souls with the intention to serve.